The 9990-RTR-MPEG-IP offers a flexible card-based solution for providing distribution copies of unicast or multicast IP streams. Unicast streams, by design, have only one destination and cannot easily be monitored by test equipment. To solve this, the 9990-RTR-MPEG-IP provides copies that can easily be sent to multiple destinations for monitoring or other purposes. With the 9990-RTR-MPEG-IP, the originating UDP/RTP stream can be replicated to reach its intended destination, as well as providing ample copies for monitoring or other purposes. 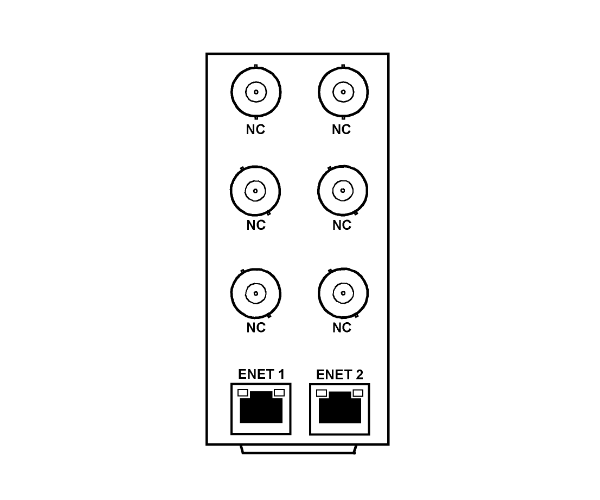 Using its two 1GigE RJ-45 ports, the 9990-RTR-MPEG-IP supports up to 16 inputs, and up to 16 outputs. Each input can be replicated up to eight times. The 9990-RTR-MPEG-IP also includes advanced redundancy protection features, allowing for automatic failover if the primary signal disappears. De-jittering and reclocking features help ensure reliable operation in all conditions and actually “cleans up” inputs with jittery IPGs. Utilizing the openGear® open-architecture control/monitoring platform, the 9990-RTR-MPEG-IP can be remotely controlled and monitored with the free, easy-to-use DashBoard™ setup and control operator interface. The 9990-RTR-MPEG-IP is also available in stand-alone form factor BBG-1090-RTR-MPEG-IP. Model 9990-RTR-8X16-MPEG-IP: 8 inputs available for routing to up to 16 outputs. Outputs can be on either or both GigE ports. Model 9990-RTR-16X16-MPEG-IP: 16 inputs available for routing to up to 16 outputs. Outputs can be on either or both GigE ports. Note: BNC connectors on rear module are not used for this model and are all NC. You are currently requesting a quote for 9990-RTR-MPEG-IP.